Happy Thursday, friends! How cute is the print on this dress? I thought it was perfect for the lake. I found it at a local consignment shop for only $13. It's 100% cotton and so comfortable, plus an excellent buy. Have a wonderful weekend! I'm not much of girl to wear dresses but if I had that dress I'd wear it. You look lovely. When you get a chance I'd love it if you could check out my blog. i love your braid! you look so pretty, lovely look and dress =) xO! That dress is absolutely adorable! Great find! That is such a fun print and I agree it's fitting for the lake! cutest dress ever! i love the print - and only 13 dollars! I'm more than jealous. it looks great on you - especially with those AMAZING shoes. Love the print! and I love cotton. Fun print! Love your braided hairdo! Wow that is a great buy and a super cute print! 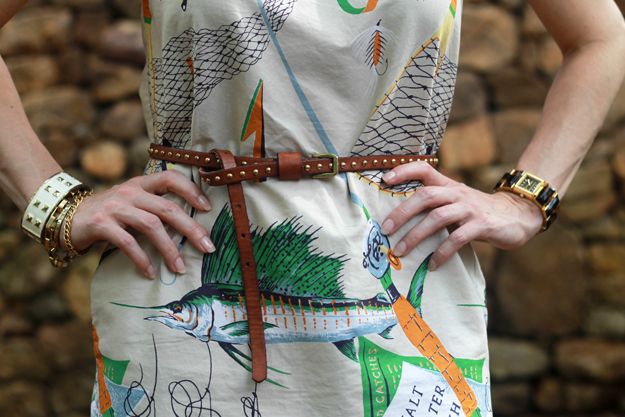 oh, that's a pretty dress and indeed, the print is so apt for the lake! Never thought a fish print could be cute...but jcrew always knows how to make things cute!! and such a good find for only 13 dollars!! Lovely print & dress, and you look great with braided hairdo. Such a cute dress! I love how you belted it! You have really great taste in dresses!! That dress is so fun! I love the print and it is definitely perfect for the lake! This dress is gorgeous! Love the print! 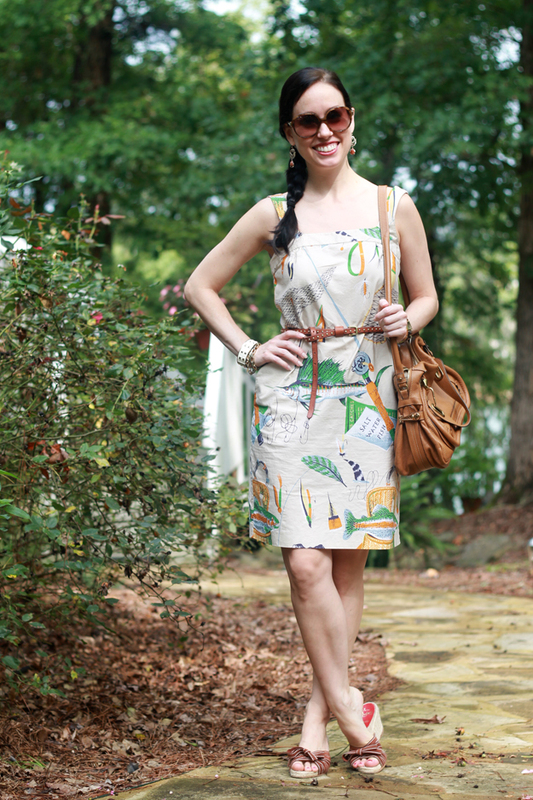 this print is so fun and I love how you accessorized this look! That dress is a great find! It's so unique and so fun, and it looks awesome on you! And I love that bag. Enter my GIVEAWAY, if you like cute detachable collars. Just need to be a follower and drop your mailadres in the comment field. you look amazing as always! !great dress love it!! Fabulous print and an even better price!! Great blog, by the way!! GREAT dress and bag!!!! Your blog is lovely.